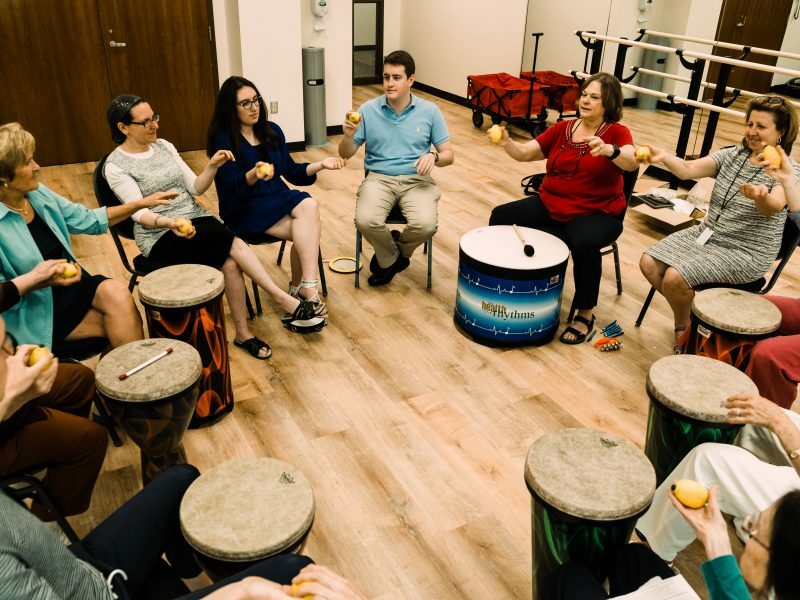 Holocaust survivors and others participate in a drum circle at the Mayerson JCC through the Jewish Family Service Center for Holocaust Survivors. Federation allocations support the program, which helps survivors live independently and have satisfying lives. “Since the community raises the dollars, it makes sense that the community allocates them as well,” said Sherri Symson, Vice President of Planning and Allocations (P&A) for the Jewish Federation of Cincinnati. Yet Cincinnati is one of the few Federations that allocates the Annual Campaign in such a fully participatory way. More than 60 volunteers spend 650 hours over six months to review funding requests and budgets and assess community organizations, ensuring donations are given to local programs that most effectively address the most critical needs in the community and nurture Jewish life locally, nationally, globally, and in Israel. “We are lucky that we had a visionary, former Vice President of Planning and Allocations, Suzette Fisher, who changed the way the Annual Campaign is allocated in Cincinnati 10 years ago,” Symson said. 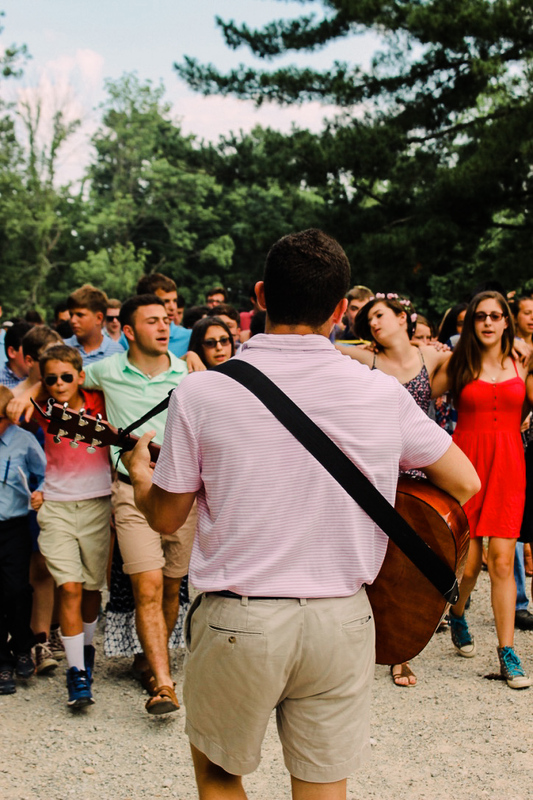 Campers welcome Shabbat at Camp Livingston. Federation allocations fund inclusion and scholarships at Camp Livingston, an overnight camp serving our community that enhances Jewish identity. “We sent our veteran volunteers back to places they had visited before, not just to learn top-level details about specific programs, but to deepen their knowledge of that organization,” Symson said. 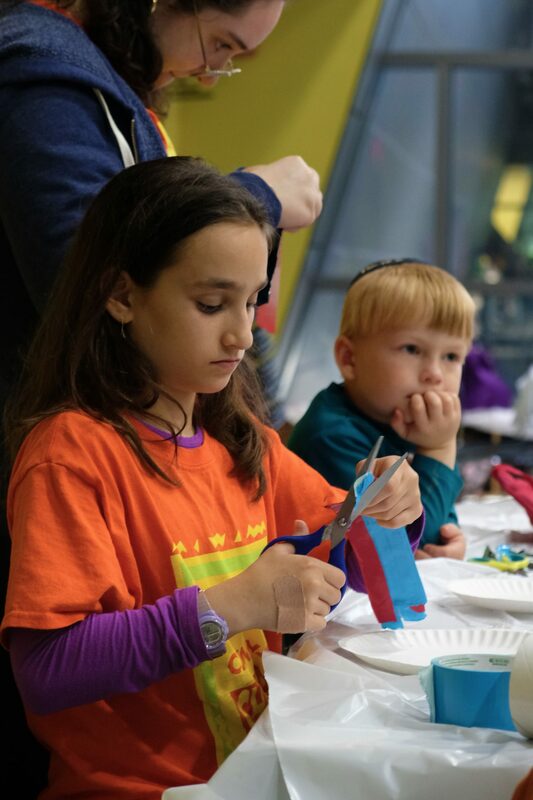 This year the P&A Committee significantly increased funding to one important new program—the Jewish Family Service Russian Jewish Cultural Center. A girl participates in Camp Chabad at the University of Cincinnati. Day camp scholarships, provided in part through Federation allocations, allow campers to attend Camp Chabad who may not otherwise have been able to. In addition to the Russian Jewish Cultural Center, the committee allocated funds with an eye towards increasing inclusion. Through participating in the allocations process, Symson said, it only feels natural to also give back as a family. For Kamine, she and her husband Max Yamson give back because they want to invest in the future. Allocating Annual Campaign funds is a fair, democratic, and participatory process. Three councils are subsidiaries of the P&A Committee. They were cochaired in 2018 by Ari Handle & Josh Rothstein (Caring), Elida Kamine Yamson & Lauren Guttman (Connecting), and Robyn Lamont & Mickey Fishman (Discovering), and led by VP of Planning and Allocations Sherri Symson, Director of Community Building Barb Miller, and Community Building Associate Alana Goldstein. The councils are comprised of more than 60 volunteers who spend 650 hours over six months to make sure your gift goes to the local programs that most effectively help the most vulnerable, nurture connections with Israel, and protect and energize Jewish life. They make sure your gift will be used wisely and with the greatest impact. For more information about allocations, visit jewishcincinnati.org/allocations.